On a corner of the 5th floor of Megamall's newest building is a little bakery that deserves more attention than it is getting. 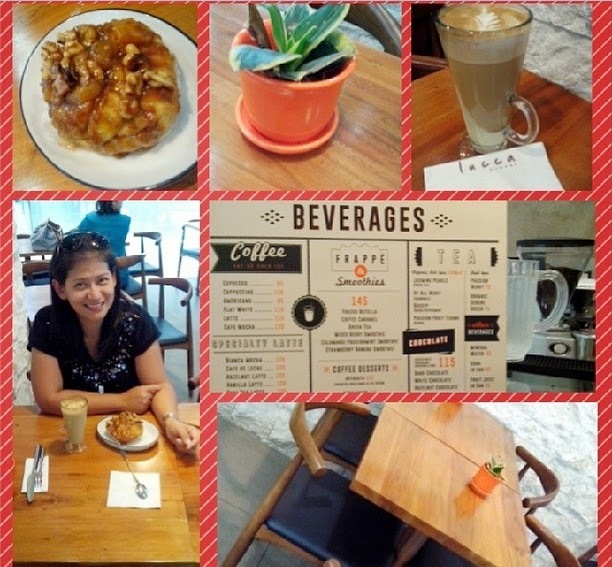 Lucca Bakery is a gem worth discovering and I loved that I found it and was able to spend some me time early this week. I loved how cozy the place looked and I like the little accents that they had. What I loved most though was the banana and walnut covered sticky bun. Priced at Php70, this was definitely a steal since it was also big and very tasty. I'd definitely come back and stay here should I find myself in Megamall which I most likely will when H&M opens.